Any Bostonian will tell you that the amazing Boston Public Market was a long time in the making! 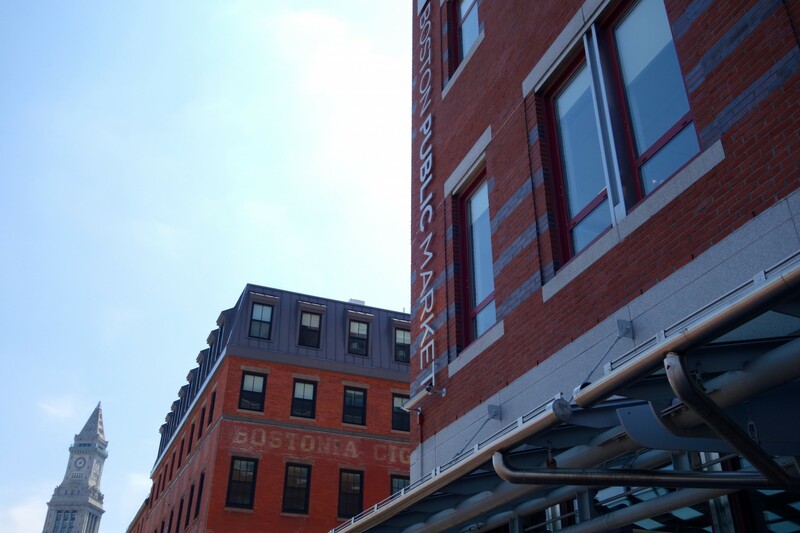 In 2008, the Massachusetts General Court authorized that a public market could be built in Boston, however, it took much back and forth and many dedicated individuals to bring the Boston Public Market to fruition. In July 2015, Boston’s first indoor public market officially opened its doors and it quickly became one of my favorite places to go in the city! 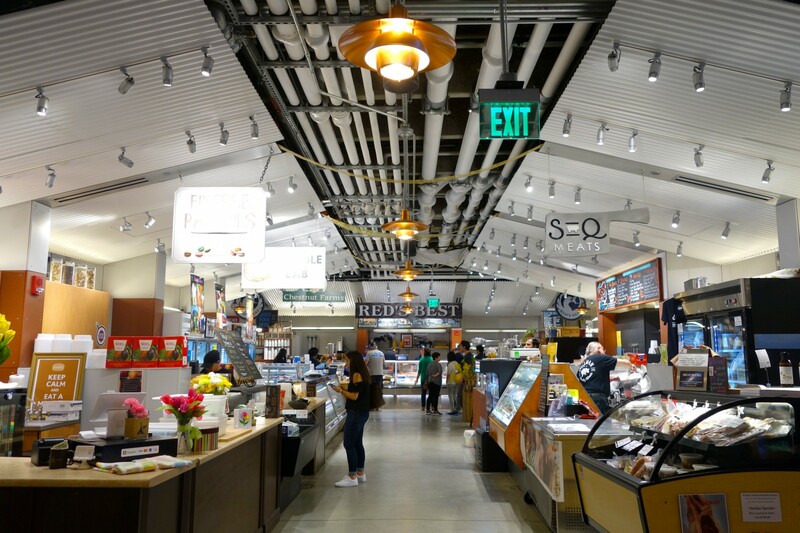 Whether you’re looking for fresh fish and vegetables to pick up for dinner or are on the hunt for a sweet treat paired with a cup of tea, the Boston Public Market has it! I stop into the market at various times of day for a multitude of reasons. In the morning, the Overnight Oats at Mother Juice are my go-to, whereas for lunch, I can’t resist the fresh shrimp wrap at Red’s Best! A few of my girlfriends work downtown, so we love to meet at the Boston Public Market for a catch-up session and mid-day snack; the churros at Taza Chocolate and fresh cider donuts at Red Apple Farm are my weaknesses! The market is home to over 35 year-round vendors and is open seven days a week. Vendors are hand-selected by the operating non-profit and they must sell food/products that have New England roots. 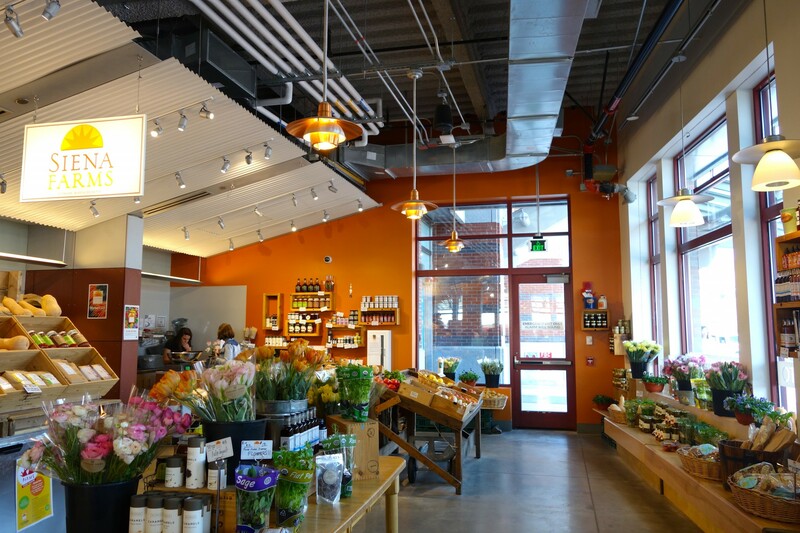 I love how the Boston Public Market provides a welcoming place for small businesses to gain recognition and build their brand and also, a convenient spot for both Bostonians and visitors to shop local and shop small. 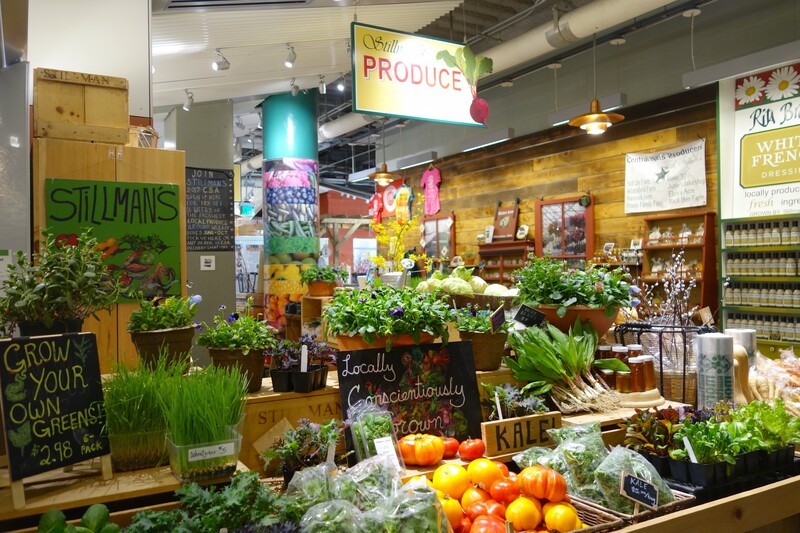 In addition to offering shoppers a diverse array of specialty foods and products, the Boston Public Market also has a 3,200 square foot space called THE KITCHEN, which hosts programming, such as cooking demos, lectures, exercises classes, and more. You can check out the list of happenings in THE KITCHEN here. Tip: the cooking classes sell out super fast! To help you better navigate the Boston Public Market, which truthfully can be a bit daunting at first visit (…in a good way), I’ve rounded up a few of my current favorite vendors. Happy shopping and eating! As I’ve mentioned before, I love keeping fresh flowers and plants in our home. They instantly brighten up any room! 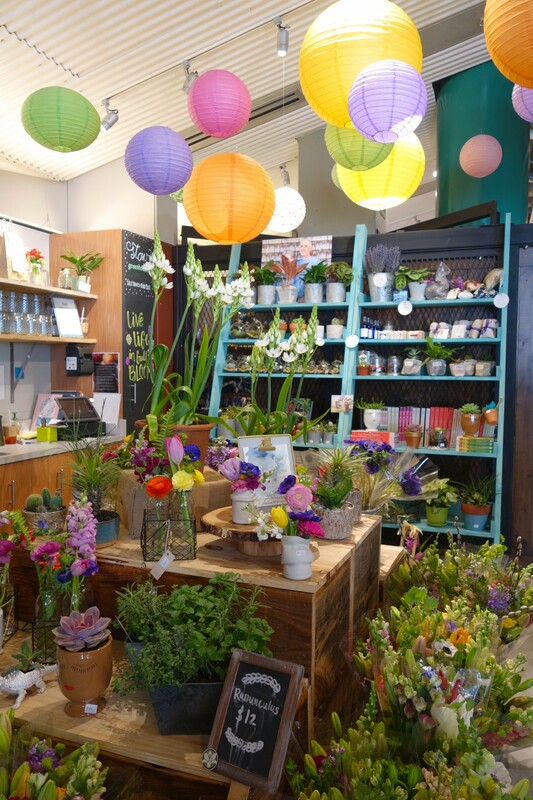 Whenever I need to pick up a quick bouquet for myself or for a hostess gift, I stop by Stow Greenhouses in the Boston Public Market. 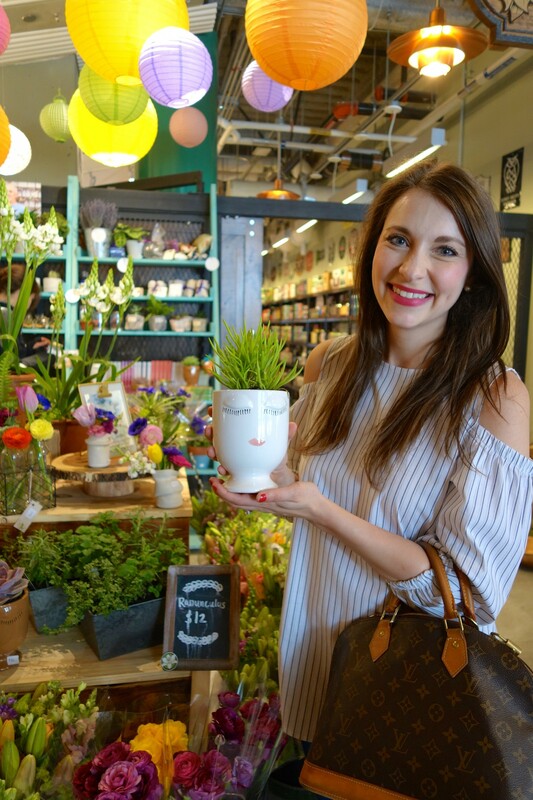 They have everything from adorable pots boasting succulents to fresh bouquets, including arrangements with odorless lilies (I personally love these because sometimes the smell of lilies can be a bit too strong!). 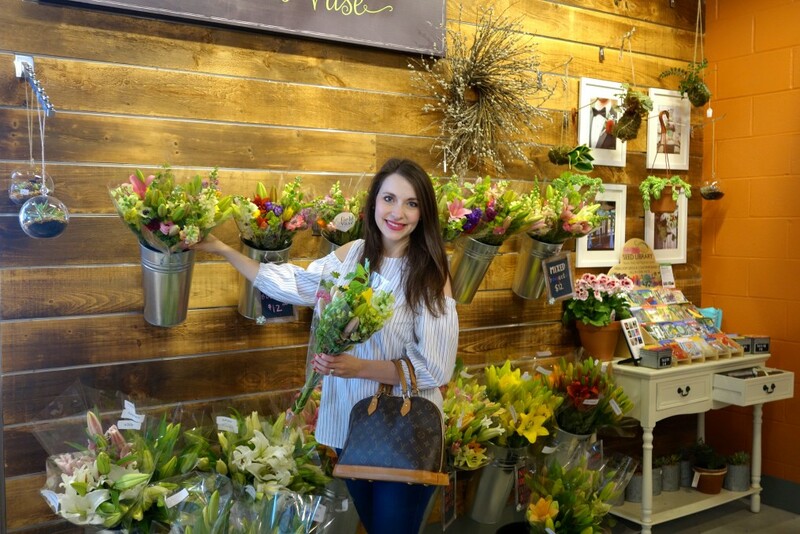 Make sure to ask for a frequent buyer card if you plan to regularly purchase your fresh flowers there! 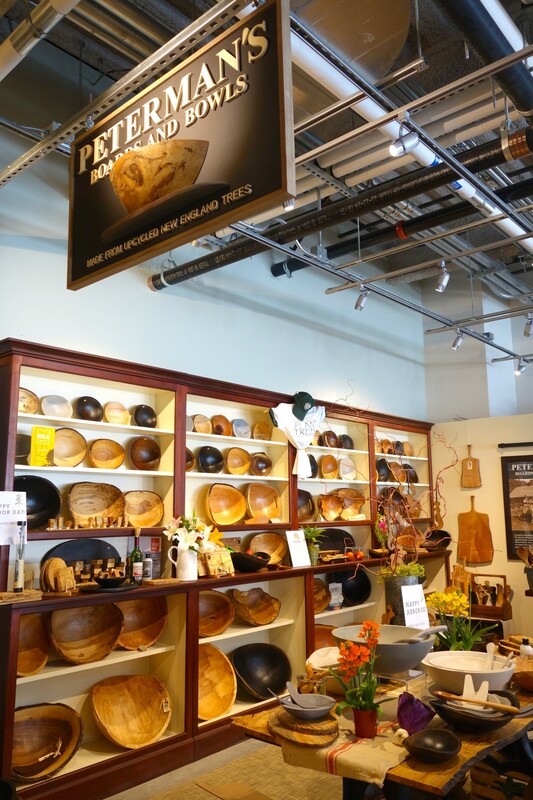 One of the most eye-catching vendors at the Boston Public Market is Peterman’s Boards and Bowls, which sells gorgeous, hand-made wooden bowls and serving trays using wood from fallen trees in Western Massachusetts. Designer Spencer Peterman, who originally started his career as a basket weaver on Nantucket, has been turning bowls for over 15 years. Currently on my wish list are one of his serving trays with a handle and an oval serving bowl. I can’t help but admire his work every time I walk by! Red’s Best is a fantastic place to find amazing fresh fish, oysters, fried seafood, and lobsters. Funny story: I once saw a customer buy a 25 pound lobster from Red’s with the intention to set him free…! In addition to fish that you can buy to bring home, they also offer an array of to-go items including salads with fresh lobster meat, chowders, and fish tacos. 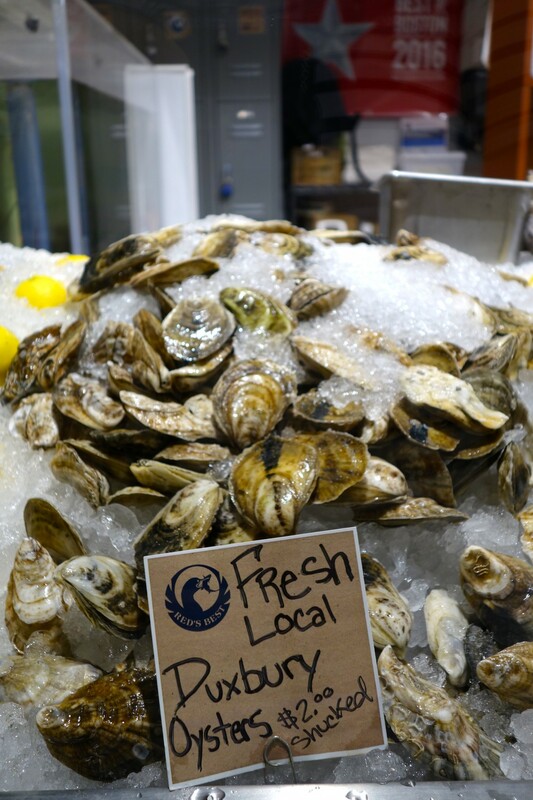 For oysters fans, don’t miss their $1 buck shuck days and oyster shucking lessons (sign-up required)! 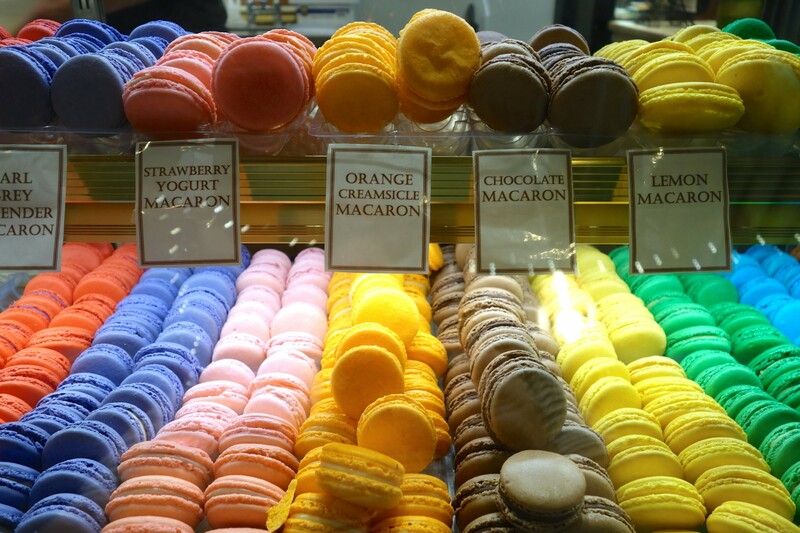 I adore anything and everything French, which, of course, includes colorful and oh-so-sweet French macarons! When Finesse Pastries joined the vendor line-up at the Boston Public Market, I could barely contain my excitement. As a total sucker for unique flavors like Earl Grey Lavender and Strawberry Yogurt, every time I visit the market, I have to pick up at least a few to “taste-test!” Since you can buy them in single quantities, it’s the perfect guilt-free treat. 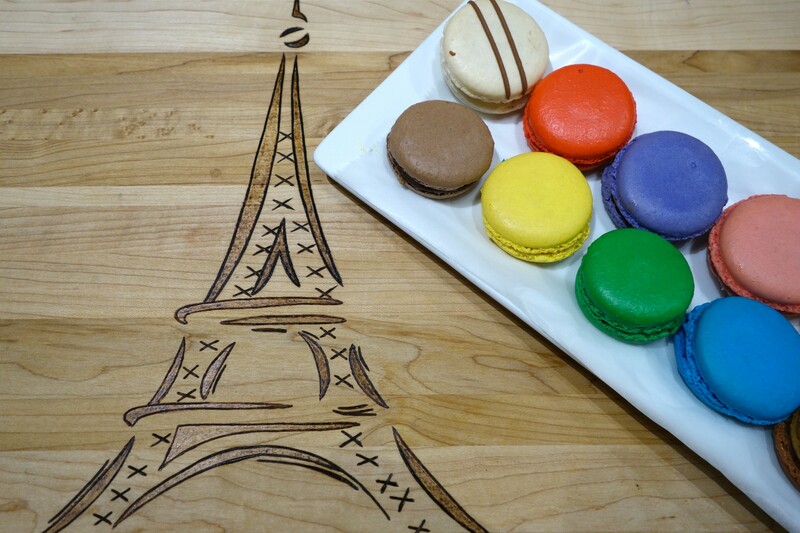 I especially love how Finesse Pastries offers a charity macaron, which is a macaron inspired by a charity and for which fifty cents of the sale goes to support it. Soluna Garden Farm originates from a one-acre certified organic farm in Winchester, which makes its own line of hand-blended organic teas. I love coming to their booth at the Boston Public Market and getting a Moroccan Mint Iced Tea to-go (it’s so refreshing!). 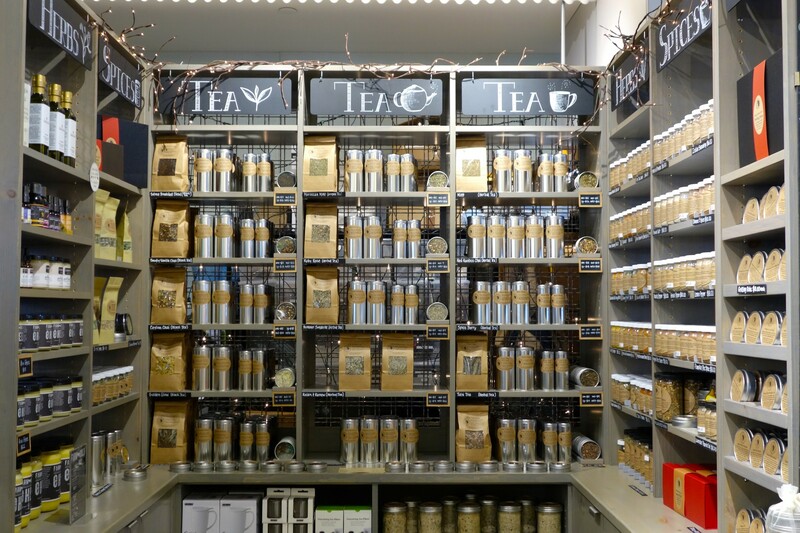 If you’re a fan of teas, you will also be delighted with their selection of loose tea leaves to buy and bring home in a variety of sizes. Oh, and if you enjoy Kombucha, they have it on tap to-go! As its name suggests, this package store, which is located down a little indoor “alleyway” in the Boston Public Market, specializes in selling beer, hard cider, and liquor brewed, fermented and distilled in New England. 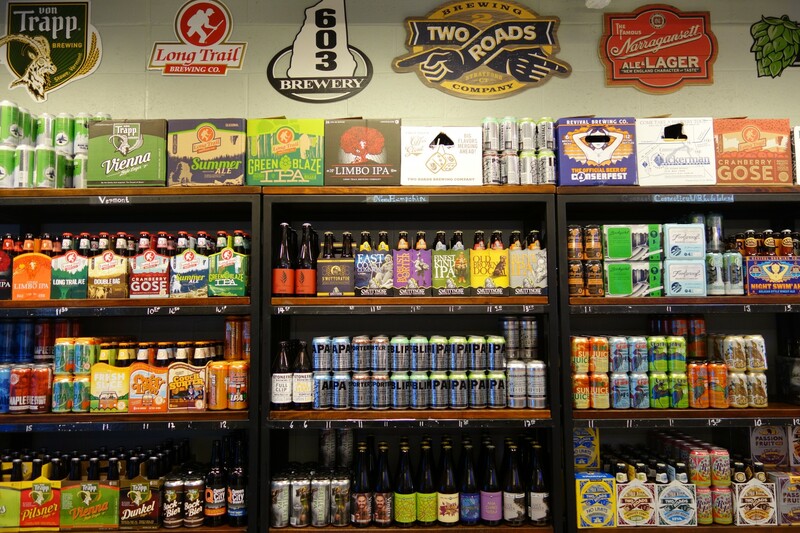 Perfect for craft beer fans, the knowledgeable staff at Hopsters Alley will help you find your new favorite beer and better yet, taste-test a few, too! Growing up in the “Bedding Plant Capital of Connecticut” a.k.a Cheshire, I’ve had a longtime love affair with cider donuts baked at small town farm markets. 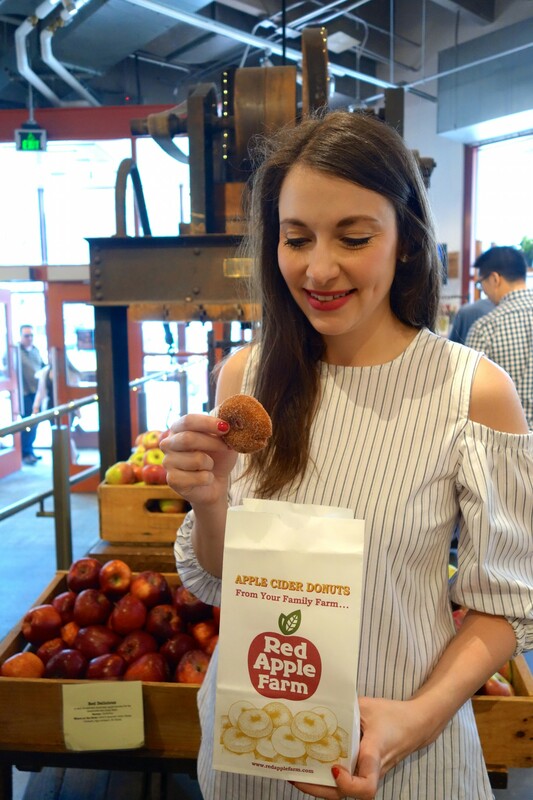 Nothing tastes more like fall in New England than the sugary goodness of a warm cider donut — and if you’re like me, you won’t hesitate to enjoy them year round! One of my favorite parts about the Boston Public Market is that as soon as you walk in the doors, the smell of this traditional New England treat greets you. 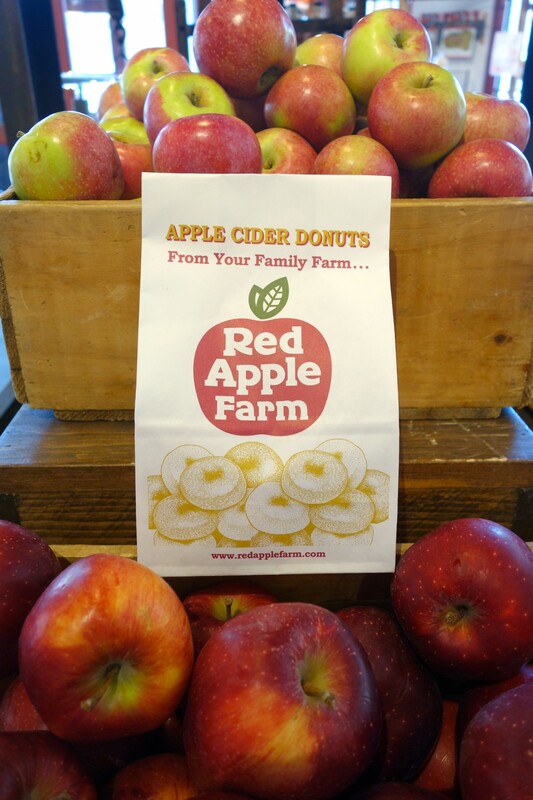 In fact, I think Red Apple Farm makes their donuts smell extra good so that you simply can’t resist them. Order a half dozen and share with a friend (let’s just say, that is easier said, than done)! Love their breakfast bowls, avocado toast and smoothies! The best challah and latkes around! If you’re craving a perfectly crunchy yet soft bagel, this is your place. Enjoy it as is, topped with your choice of spreads, as a pizza bagel or as a bagel sandwich. Whenever I need a head of lettuce or heirloom tomatoes for my dinner, I come to Stillman’s booth! Stillman’s brings veggies and herbs from its farm in Central Massachusetts to the heart of Boston. I love the oysters at BPM! Yes! So good! Have you been to any of their $1 oyster days? !